Viticultural Management, Inc. (VMI) is a full-service vineyard management company based in Paso Robles in the heart of California's Central Coast wine country. 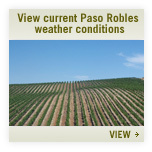 We offer total vineyard care through consulting, site development and vineyard management. Our roots run deep on the Central Coast, and we are passionate about the region and its vineyards. This is where you will find us, ready to grow your success from the ground up.